We never prepare so much our trips, that's the best way to let anything happens and be surprised. 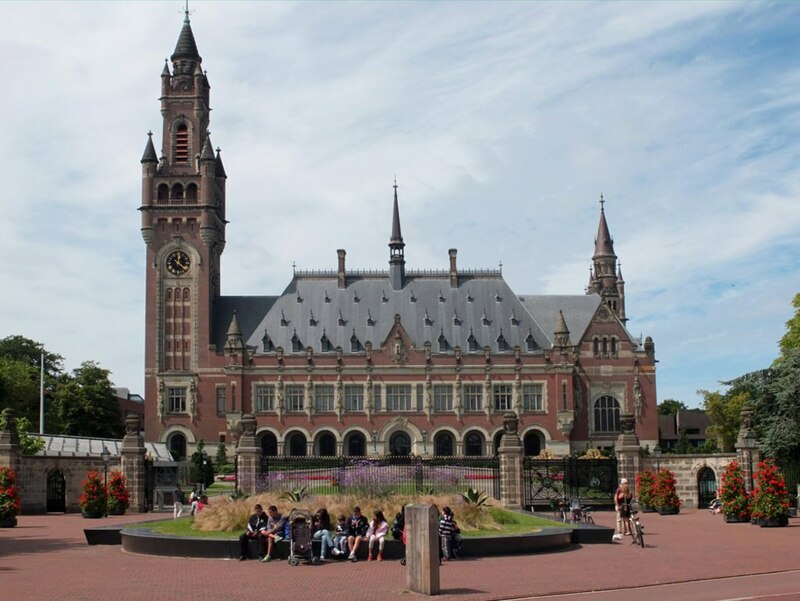 So the most important thing I knew about The Hague was the international court of justice. Pretty deep for a festival weekend. Luckily that's just a small part of this amazing city, which is huge by the way. It's basically made of two main areas: the city centre and the beach. I was surprised by how much the city is into Contemporary art, which is one of my main passion. We spent almost 3 days there going from Art galleries to coffee shops, stopping by installations in the streets, and you've got a lot of those. We were introduced to this huge scene by a lovely lady at Stroom Art Centre. She gave us this amazing website where you can spot everything's happening: Hoogtij. Even if you're not that much into art, again, that's a nice excuse to pick up an itinerary and go from A to B and discover different areas. Following this precept, we walked from the centre to the beach for this sculpture project organized by Beelden aan Zee museum (literally "Sculptures at Sea"). Once at the sea, you really have the impression to be elsewhere, change of set. A lovely mix of those endless beautiful beaches of the north sea and surf culture. There is truly a West Coast spirit in Den Haag, in many ways. They know how to enjoy simple things. 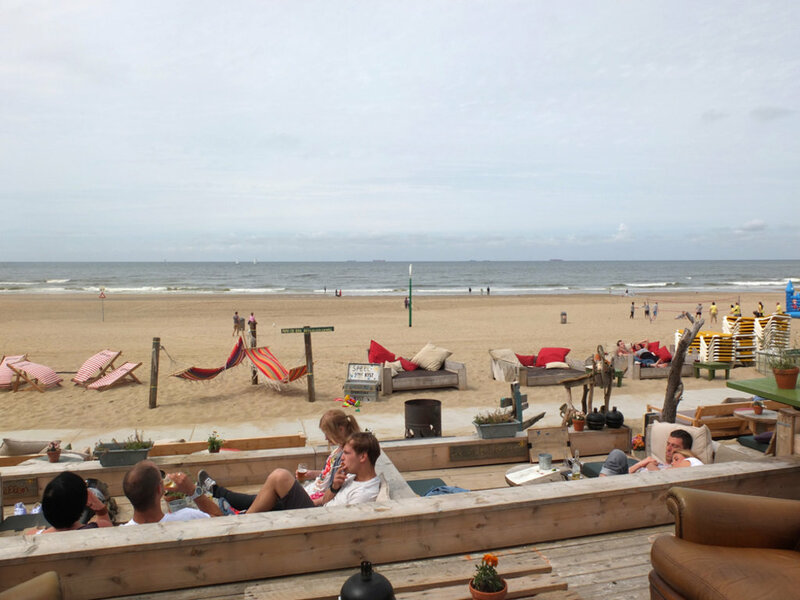 You can find all along the beach, very cool restaurants and bars like In, where you can chill and lay down on mattresses, watching the sea as if it was an animated Flemish painting. Beautiful. Use a bike. The Netherlands is so gear up toward cycling and it's easily the best way to get around. Holland loves their football, so if there's a game on, expect all music activites to be suspended until final whistle. The stages will blast out the games for all to see. ThissFestival takes place across five cities (The Hague, Amsterdam, Haarlem, Leiden, Rotterdam, Utrecht). Good excuse to get the bike out. 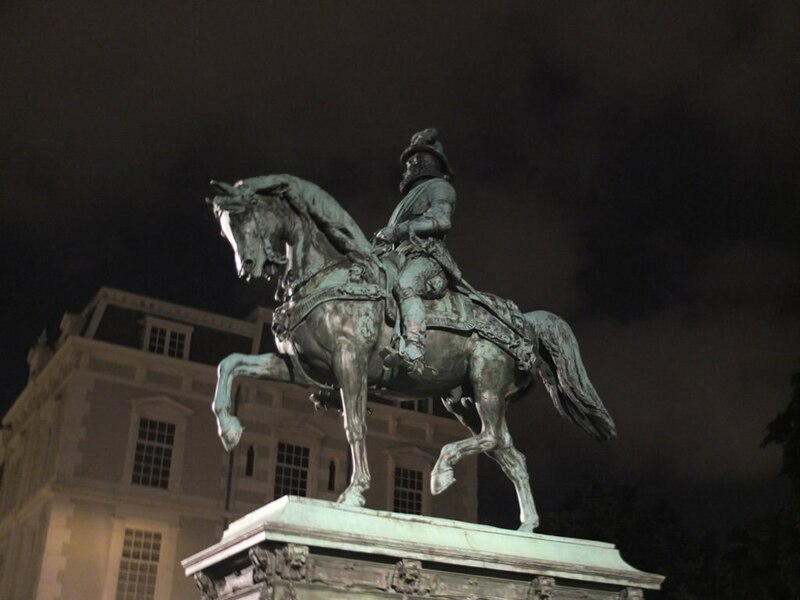 I really liked the artistic and creative atmosphere of the city; Art, Music, Architecture. To complete the story, after the singer-­songwriters and pop music, there's a whole load of clubs, like Paard Von Troj, to fill the evening.